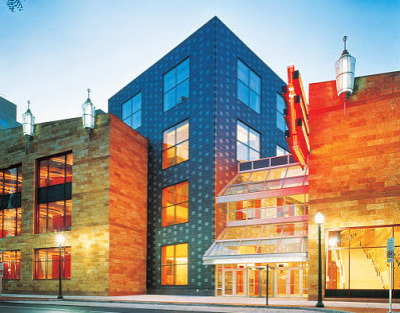 Whitaker Center was founded to make Central Pennsylvania a better place to live, work, and play! As a non-profit organization, we are not self-sustaining. We rely on donations from those who support first-class learning experiences, inspiring live performances, and amazing films. 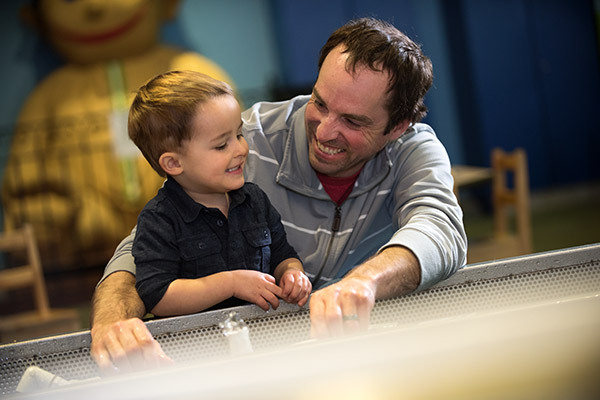 Your gift will help Whitaker Center stay accessible to all and be the place where people of all ages can discover the wonders of art and science, while creating unforgettable experiences. Whether you are an individual looking to make an outright or planned gift or a company interested in supporting your community and reaching new patrons, we have a variety of giving options to meet your needs. For information on giving options, please see the specific items below or contact the Development Office at development@whitakercenter.org or call 717-724-3886. To make a tax-free stock gift to Whitaker Center, please contact the Development Office by email or call 717-724-3886 for transfer instructions. Your contribution could go twice as far with a matching gift! Many employers offer matching gift programs and will match charitable contributions made by their employees. By taking advantage of your company’s matching gift program, you may be able to double, or even triple, the impact of your contribution. To find out if your company participates in a matching gift program, please check with your company’s Human Resources Department. To send a matching gift, please request a matching gift form from your company and send a completed copy with or following your contribution to the Development Office address listed above. 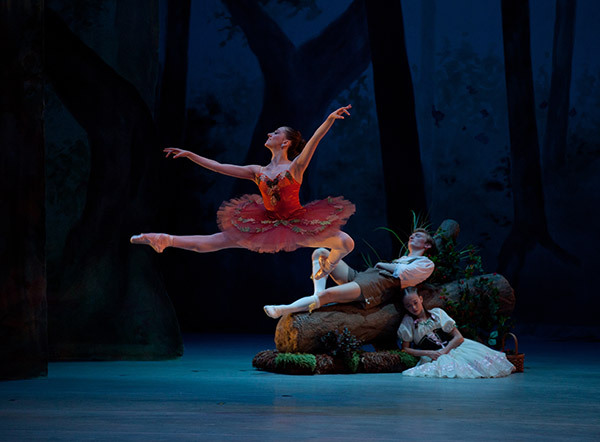 The generosity of individual donors helps support Whitaker Center’s day-to-day operations and keep our cutting-edge programs and unique performances accessible to all. We accept and appreciate donations of any size and recognize each contribution at various times throughout the year. To send a donation, please see the “How to Give” section above. All donors who give $500 or more during our fiscal year are invited to join our Gems Society. As a Gems Society member, you will receive special donor recognition and privileges, such as invitations to our VIP premieres of new exhibits and films. As a Gems Society member, you also have the option to use your contribution to receive special membership benefits. For more information on these benefits, see our Gems Society or contact Whitaker Center’s Development Office at development@whitakercenter.org or call 717-724-3886. The foundation of Whitaker Center’s building is slate and stone, and the foundation of our mission is made possible by our donors. We created the Slate and Stone Giving Society to recognize those donors who have played a vital role in shaping our future and demonstrated an extraordinary commitment to our mission. Individuals become members of Slate and Stone based on their outright, cumulative giving over time. The society will begin to recognize donors when their cumulative giving to Whitaker Center reaches $100,000. Become a Whitaker Society member and make a multi-year pledge commitment. For more information, see the Whitaker Society section below. EITC, or the Education Improvement Tax Credit, is a PA Department of Community and Economic Development program that provides incentives for eligible businesses when they donate to eligible organizations. Whitaker Center is registered as an eligible Educational Improvement Organization. 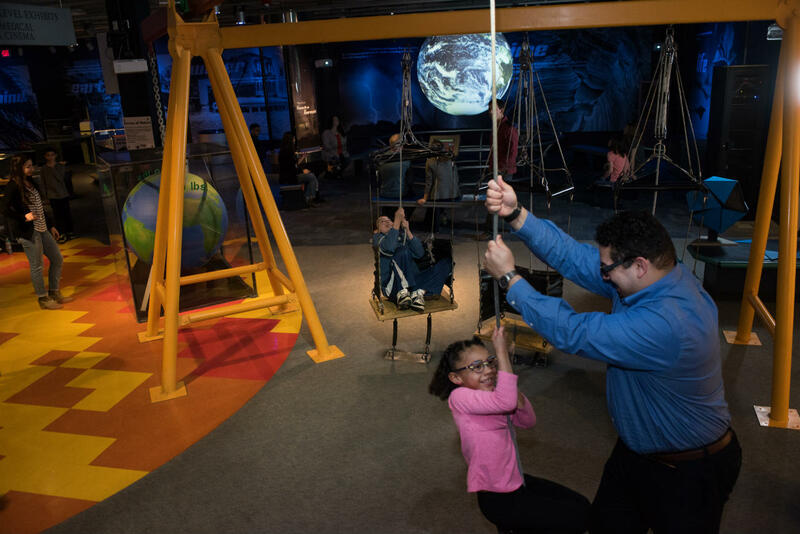 We use EITC funding to help public school students take part in our many educational offerings, such as trips to the science center, Discovery Lab programs, live performances at our Sunoco Performance Theater and more! 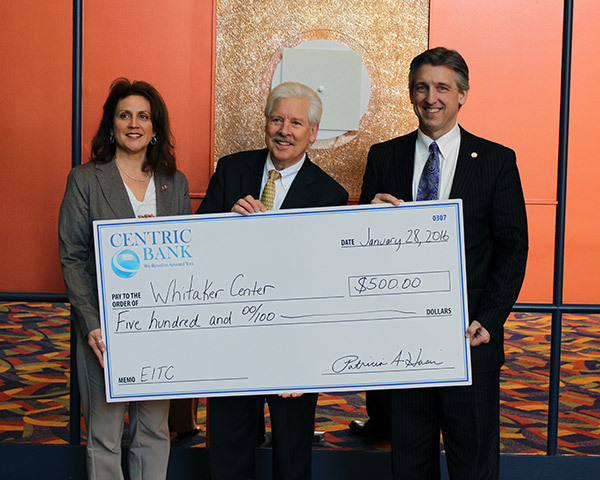 Companies eligible for EITC are invited to call our Development Department at 717-724-3886 for more information about giving to Whitaker Center through the EITC program. For a description of the EITC program, eligibility requirements and application deadlines, please visit www.newPA.com/EITC . Corporate sponsorship is a great way to support the arts and culture in the Harrisburg community and gain exposure among Whitaker Center patrons and members. Without our corporate partners, Whitaker Center would not be able to provide the diversity or high quality programming that has become our hallmark. We offer companies sponsorships opportunities for many of our films, performances, exhibits, and educational programs. For a current list of sponsorship opportunities and benefits, please contact the Development Office at development@whitakercenter.org or call 717-724-3886. Companies are invited to become members of Whitaker Society, by making a multi-year pledge commitment. For more information, see the Whitaker Society section below. There are many ways to affirm your commitment to our mission through a legacy gift. An outright bequest, a gift of life insurance, and a charitable gift annuity are just a few of the many ways you can have a lasting impact on the future of Whitaker Center for Science and the Arts. We would be happy to work with you to determine the best way to create your legacy with us. For more information on planned giving, please contact the Development Office at development@whitakercenter.org or call 717-724-3886. The Legacy Society recognizes benefactors who have decided to support our mission for generations to come, through planned giving with a minimum value of $25,000. Please contact Whitaker Center’s Development Office to complete a legally binding Legacy Society Gift Commitment Form. 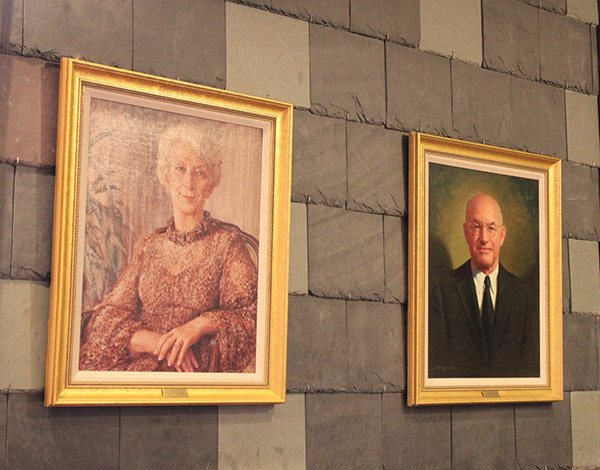 Whitaker Center for Science and the Arts is named in memory of Uncas A. Whitaker and his wife, Helen F. Whitaker and is a living legacy to their spirit of philanthropy. 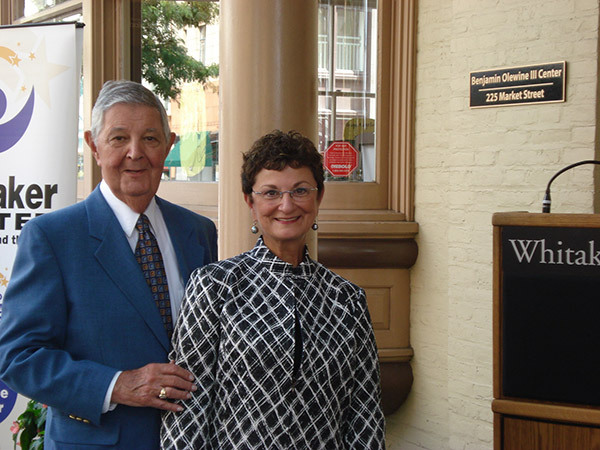 Whitaker Society was created to ensure that their philanthropic spirit lives on. Whitaker Society is a multi-year pledge commitment to Whitaker Center’s Annual Campaign. For a minimum pledge of $5,000 for three years, you can become a Whitaker Society member and help continue the success and legacy of Whitaker Center. Intrinsic satisfaction of helping a premier cultural center in Central PA.
To become a Whitaker Society member and make your multi-year pledge, please contact the Development Office at development@whitakercenter.org or call 717-724-3886. At Whitaker Center for Science and the Arts, we understand that the arts are crucial in helping children foster creativity and imagination. Through the incredible generosity of the Lois Lehrman Grass Foundation, we have created the Advancing Performing Arts Challenge to help raise money for an endowment that will provide thousands of students in Central Pennsylvania access to live performing arts at our Sunoco Performance Theater. Leading with a pledge of $1 million, the Lois Lehrman Grass Foundation has challenged us to match her donation to create a special $2 million endowment. Earnings from the endowment will allow us to bring up to 20,000 more children to Whitaker Center each year. For more information on how you can support APAC through a donation or naming opportunity, please contact the Development Office atdevelopment@whitakercenter.org or call 717-724-3886. 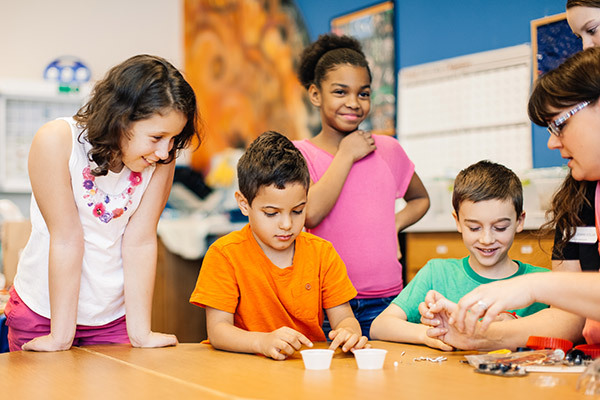 Whitaker Center is committed to making sure that as many children as possible have the opportunity to learn and explore through our various educational programs. Thanks to the generosity of individual and corporate donors, The Whitaker Center Educational Outreach Fund (WCEOF) allows us to offer reduced admission fees for Title 1 schools and Central PA nonprofits that serve low income or disadvantaged youth ages 4-18. WCEOF assists with the cost for Harsco Science Center visits, Discovery Labs, Select Medical Digital Cinema documentary films, and may provide assistance with transportation cost. These funds also provide discounts for Surgery Live! programs, summer Discovery Camps, and Whitaker on Wheels. . Once you are awarded funding, the cost of admission is determined by the number of events your school will be participating in, the type of programs requested, and funding availability. A Whitaker Center staff member will work with you personally to ensure that your needs are met. For more information on WCEOF or to find out how you can donate, please contact the Development Office at 717-724-3886. If you would like to request funding for a school group or youth program, please contact Whitaker Center’s Group Sales Office at 717-724-3862 or groupsales@whitakercenter.org. Très Bonne Année, French for “a very good year”, is a series of wine and food events held annually in Harrisburg. Each year, over 600 guests, including nationally recognized wine authorities and enthusiast from all around the world, gather to attend what has become one of the largest wine auctions for charity on the East Coast. The proceeds from Très Bonne Année exclusively benefit Whitaker Center for Science and the Arts. You don’t have to be a wine connoisseur to enjoy Très Bonne Année! There are events for every level of knowledge and interest, from the Vintner’s Tasting for novice enthusiasts to the Gala Auction and Dinner for the more serious collector. Très Bonne Année events are for all individuals who enjoy food, great wine and the arts! If you are interested in attending Très Bonne Année events to support Whitaker Center for Science and the Arts, please visit tresbonneannee.org or call (717) 237-6426 for ticket information and sponsorship opportunities.